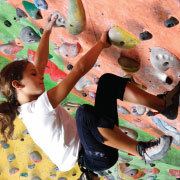 Kids who are active young are more likely to stay active throughout their lives. Not to mention the fact that getting involved in organized sports early on in life offers cognitive benefits, stress-management skills, and teaches children accountability. 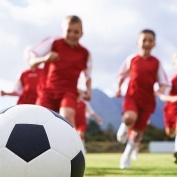 Find out why soccer is one of the best ways for kids to get involved in sports at an early age. First, make a list of items that your child will need for practice and games. Start with equipment, clothing, and shoes. Plan to pack at least one extra outfit, including a few pairs of socks, and a jacket if playing outdoors. Then think of secondary items like deodorant, water, an electrolyte drink, healthy snacks, and basic first aid items (just in case). Your second list is for you. If you plan on attending, will you need to bring a chair? If so, bring an extra for your child so if there’s any lag time in between events, he/she can sit with you. At Cal Fit’s Rocklin Sports Complex, there is always plenty of seating for you to comfortably attend practices and games. If you’re outside, bring seasonal weather-accommodating items like a blanket, ponchos, umbrella, or a cooler. If you have other children who attend with you, make sure you bring things for him or her to do, including snacks. Meal prep saves time and money, and also assures your child a healthy pre- and post-activity meal. Whether you cook two to three meals on a Sunday and freeze them for the week, or if you cook in bulk two to three days a week, is totally up to you. But having easy-to-eat healthy meals on hand will save time and give your kids the energy they need to play a great game! It’s important that your child knows you support them in everything they do, no matter what. Showing up to events like their soccer games shows them you’re with them and gives them the confidence to keep trying their best. While your child may not be destined for the pros, lessons like this are important as the child grows into adulthood. There are sidelines for many reasons, including safety and simply just to let the players play the game. While of course you want your child to do their best, intercepting only infuriates the referee and coach and disrupts the game. Not to mention, stopping the game to yell at the coaching staff will also likely slow the game down, decrease the enjoyment of it, and discourage your child from wanting to continue participation. While you may have divine moments of inspiration during games, the best thing you can do as a parent is keep your child confident, active, and engaged. Set aside one to two times a week to help him or her practice their skills. Showing you are interested and wanting them to succeed will encourage them to stay with it. If at-home practice isn’t doable, make sure to ask leading questions maybe over the dinner table. Skip simple “yes” and “no” questions. Get them talking about their passions! Inquire directly about how they feel their development is going and if they have any questions or concerns. Remember, you are their at-home coach and referee. One of the biggest concerns when involving your children in any organized after-school activity is making sure they get enough sleep. Practices can escalate to three or more nights a week plus game time, (depending on age and level advancement). While teenagers and adults may have that kind of energy to boot, kids tend to tucker out pretty quickly. Setting up earlier bedtimes and feeding them healthier foods (no caffeine or sugar before bed), will help them, and you, recharge.